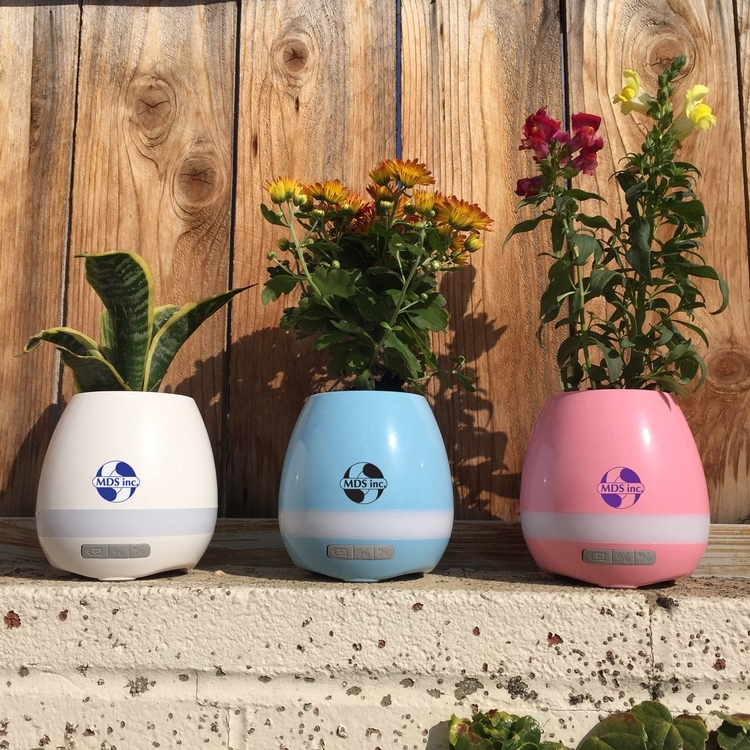 Smart-Wireless Sound/Light Flower Pot Desk Gift. Plant you favorite real plant in this wireless pot. Wireless/Bluetooth to play your favorite music, while it transforms it into colorful light. 360 degree light and sound. It include an inner Touch Sensor for the plant. USB Charging, Power Mode, Water Outlet, speaker Holder and Water Scupper. Charging Time is ~4 hours. Playing Time is ~ 12 hours. Wireless Connection Distance is ~ 10M. Net weight is 400g each. Comes with detailed instructions. Piano Pre-Installed Songs: Happy Birthday, Twinkle Star, Fur Elise. Note: Real Plant not Included. Please read the User-Manual before use/planting.